Now for the first time you can upgrade your old Neon Wizard directly to LED Wizard 7.1! Any Neon Wizard version and any Neon Wizard level are eligible. The cost is US $995. What do you get for that? LED Wizard 7.1, the global industry-standard software that creates LED layouts for channel letters and sign cabinets. Take a look at this video that shows how much of an upgrade LED Wizard 7.1 really is from your Neon Wizard program. Particular attention is given to the improvements made over Neon Wizard and how the software works differently. If you are making LED channel letters, you need to see what our software can do. 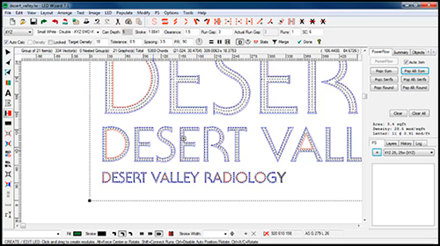 Please also note that LED Wizard 7.1 includes the popular Channel Letter Return Plots feature at no additional cost! So if you are building letters in your shop without an automated bending machine, then this CLR feature is a tremendous help. The special offer is to upgrade your Neon Wizard to LED Wizard 7.1 on your same key, but you will be able to run BOTH programs. If you have an older key, we will upgrade it to a current USB key at no additional charge. If you aren't doing a key exchange, then for this upgrade everything can be done online; we don't have to mail you anything. You can download and install the new software, download the documentation as a PDF file, and enter the password that we send you by email. You could be making your own LED layouts in house by tomorrow!